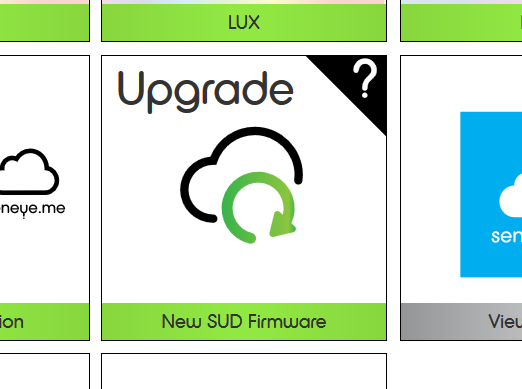 When new firmware is available for your SUD it will automatically download to the SWS ready to be loaded. If this happens, the following image will show on the GUI. The next stage is to click on the tile to prompt the SUD to update. The tile will change to tell you to keep the SUD connected until the firmware update is finished. Once the update is complete, the tile will change to tell you to disconnect and reconnect the SUD from the SWS. Your SWS will then start to upload data again when this is complete.